Oman Oil Company Explorations and Production (OOCEP) and Eni Oman have entered into an exploration and production sharing agreement (EPSA) for Block 47 with the Sultanate's Government, represented by the Ministry of Oil and Gas. Block 47 covers an approximate area of 8.524 sq km and it is an onshore block located in the Governorate of A'Dakhiliyah, an Oman News Agency report said. The block was awarded to OOCEP and Eni following their joint bid as part of the 2017 Oman Licensing Round. Eni Oman will be the operator of the block and will hold a 90 per cent participating interest and OOCEP will hold the remaining 10 per cent. Exploration operations are expected to commence in 2019, said the report. 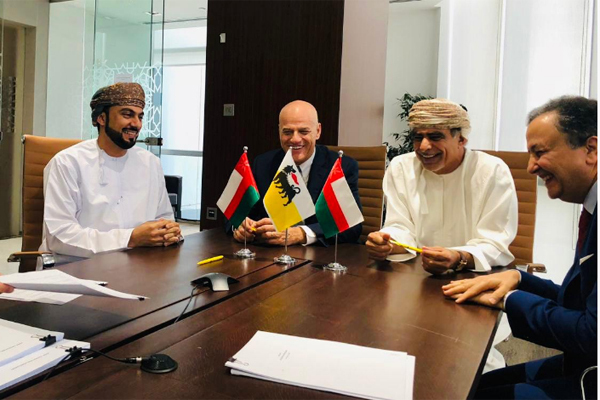 Block 47 EPSA represents a further step in Eni's strategy to reinforce its presence in the sultanate and strengthen the collaboration with OOCEP, which is Eni's partner also in Block 52, which is located at the southern coast of the sultanate. OOCEP was established as an Omani upstream oil and gas company and is a subsidiary of Oman Oil Company (OOC).